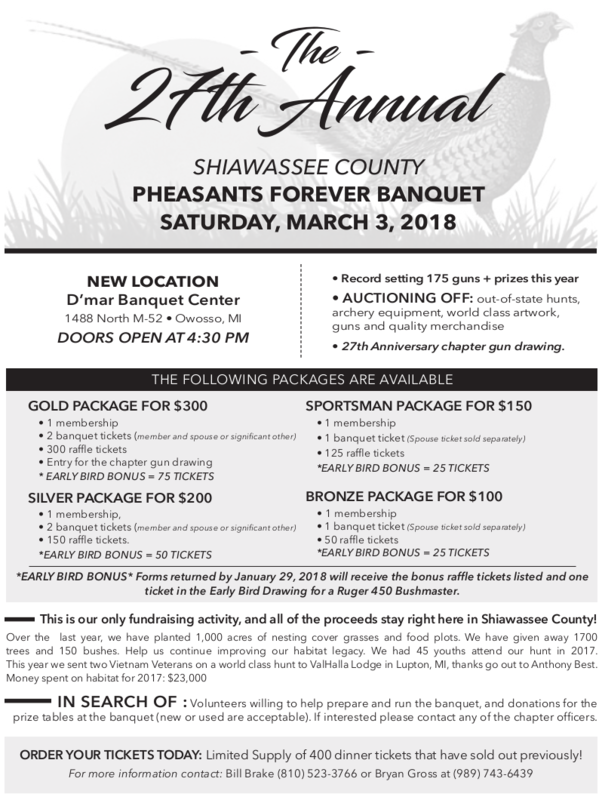 The Shiawassee County Michigan Pheasants Forever Chapter 399 Annual Banquet is Saturday March 3, 2018. Mark your calendar and get ready for the BIG TICKET RAFFLE - 150 awesome prizes including 135 guns. 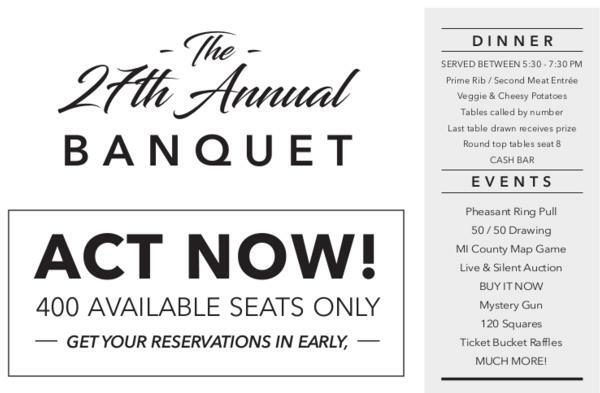 Tickets sell out fast, be sure to reserve yours today. 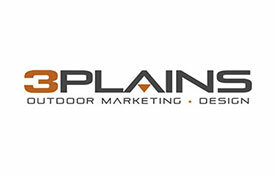 If you would like to be a sponsor of the banquet or have an auction item to donate, please contact Bill Brake.